Don't waste your time shopping for different pumps or motors. 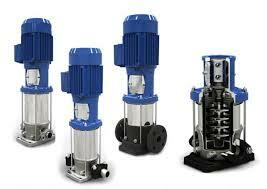 At Platinum Pump Corp, we specialize in pump and motor sales in New York, for any kind of customer. We have a large inventory of stainless steel submersible cutter, grinder and sewage pumps in stock for immediate installation. Our sales representatives are the most knowledgeable professionals the industry has to offer. At Platinum Pump Corp:, we have experienced engineers and product specialists ready to assist you for all of your commercial and industrial applications. We have a wide range of pump and motor brands to offer. We work with building managers, mechanical engineers, contractors and plumbers to name a few. We have large inventory of water pressure booster systems, condensate/boiler feed tanks and sewage systems. We also have custom control panels for all applications. Contact us to learn more about our pump and motor sales team.